Hair oils.... Probably the biggest and best thing since GHD released their straighteners! If you are a beauty lover, like moi, I'm sure you've tried at least one! Softer hair, healthier hair, stronger hair, protects your hair - they all more or less promise the same thing but after trying a few I know that I have my favourites! 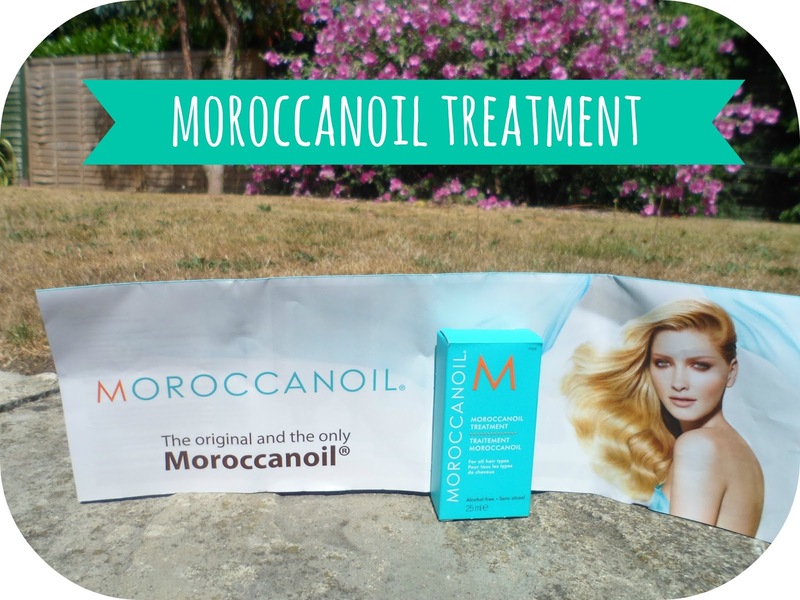 Top of the list being this - the Moroccanoil Treatment. For those of you who have been living under a rock or would just like to know a bit more - here's some of the main information about the brand itself. I've only just recently started using this and over the last week or so I've actually been excited to wash my hair so that I can whack this on after! The main thought using this product is .... why did I not start using this sooner?! You only need to tiniest bit to cover the mid-end lengths of your hair. Anything between a 5p and a 1p is normal so this stuff just lasts and lasts! Like I said I've been using it for just over a week and it doesn't even look like any has gone from the bottle! 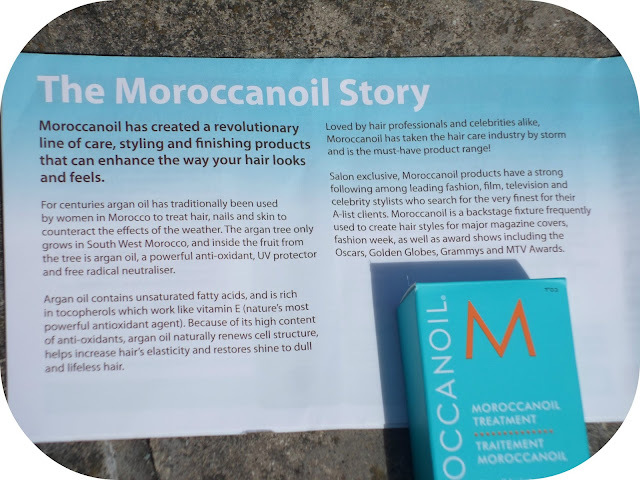 Here's a how-to video from Moroccanoil's Official YouTube, they have some awesome video's on their so it is definitley worth checking out their channel. The scent is lovely - soothing, light and not overpowering - keeping your hair fresh and smelling gorgeous! 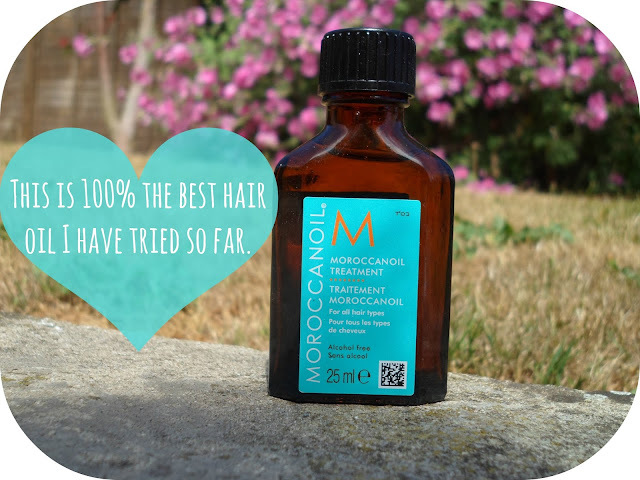 It has left my hair feeling so silly smooth, thick and really healthy after every use and I don't know how I've been living without it! The only one downside I would give this product is the fact the bottle does not have a pump or an easy dispenser to it. You do just have to pour it straight onto your hand, which is fine and not a massive chore but I feel like having something like a pump would make it easier to handle the amount of product you are distributing. The bottle I have is only the 25ml which costs only £12.75 from AmazingHair.co.uk and for me this is a bargain! I know 25ml doesn't sound like you are getting alot for your money but this stuff really does last and last I have been using a good amount every time and it doesn't even look like the oil has gone down at all! This is the smallest bottle you can get so it is perfect for a first time user to try out! I HIGHLY recommend this product and cannot stop raving about it to everyone I know, it is definitely something I will be purchasing over and over again. I've been wanting to try this for soo long, and I think I'm now going to just go out and buy it! I want to grow my hair too, but it is so so soo difficult to go without heat on my hair! I love my straightener so much! I put it down to this product for making my hair grow! I love it. Got mine months ago and it's still half full! So good!! I've been meaning to invest in this for a while now! This is something I really want to try but it feels like such a lot of money for such a small amount of product! I feel like my hair would love it though, so I'm going to have to bite the bullet at some point I think. Great review!